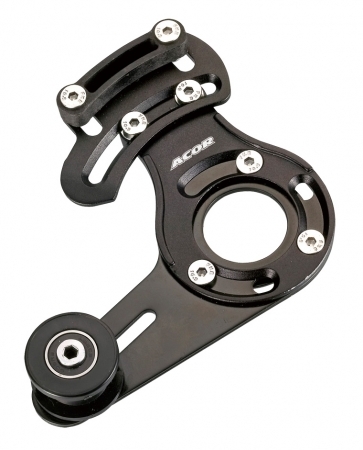 The Acor Riddler (ACC-2901) Chain Tensioner for trials, downhill, or dirt jumping. CNC machined from 6061 alloy with single roller and top guide. Includes International Standard chain guide slots. Available in a matt black finish.